When I was new to fitness and gym, I have came across something called “Spartan race”. I was 17 and I live in a small country in Europe, so the nearest race was a 600 miles away, I didn’t have my driving license and didn’t have company to go with. Fast forward 3 years, I have forgotten about it, but one day out of nowhere I came across it again, but now the race was 50 miles from my hometown, and I had a company. Month before we agreed to go, and our journey has started. We had only one month to prepare ourselves for race. I will try to explain everything I can, and how did I prepare for something like this, step by step. I was never a good runner. I was doing a HIIT cardio, I didn’t run around, it just wasn’t my thing. But when I started with my preparations, the first step was to start running, because it is a race and it was very crucial for me to gain some endurance. So I started with a 2 miles, then 5 miles and at the end, 8 miles. I knew that with obstacles there will be no more than 1-2 of running between each obstacle, so I focused on getting as much speed as possible in 2 miles, and to run without a break. It was very hard because I haven’t run for more than 8 years, and first 2 miles were easy, but later on it was a lot harder, but I have set my goal, my challenge, and I have needed to push myself. Burpees, burpees, and more burpees. 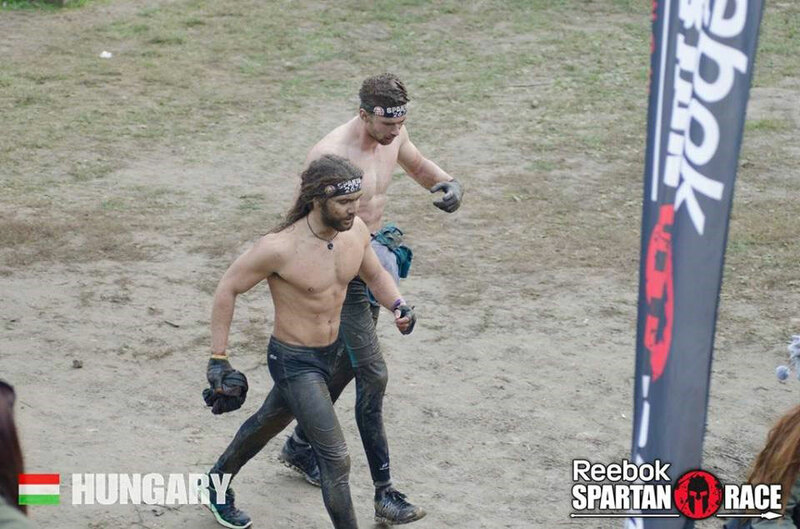 That is definition of a Spartan race. I’ve been familiar with burpees, but 20 repetitions every now and then, but 30 burpees if you don’t make trough obstacle, ooh man, harsh. First time that I’ve attempted to do 30 burpees, I was sweaty, and my heart wanted to pop right out of my chest. But it was awesome. Every day I did a 100 burpees, first thing when I would wake up, I would do 50 burpees as my morning cardio routine, with some squats and pushups. Last week I was doing a 100 burpees at once, and when I measured time, 100 burpees under eight minutes, I was so satisfied. Jumps, you need to train your jumps, because when you have a 8ft wall in front of you, you need to jump as high you can. In order to carry a 50 pound bucket or a sandbag, you’ll need a strenght. When I was preparing for a Spartan race, I was currently working out at street workout, so bodyweight exercises only. 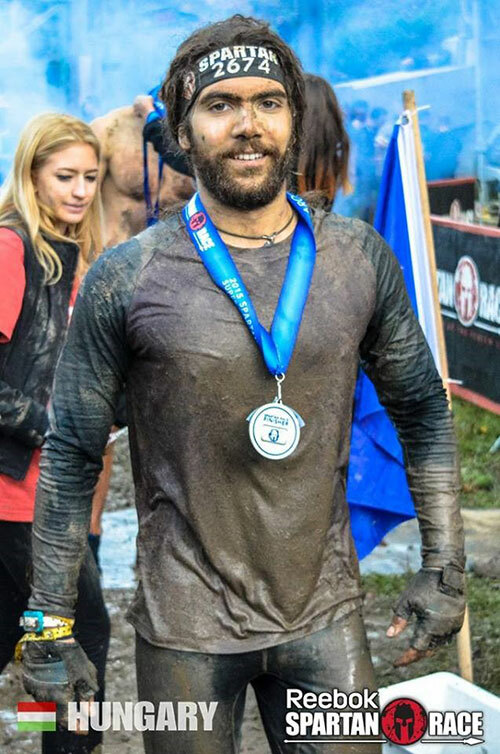 That has helped me a lot, because I was doing pull ups, dips, push ups, all of those things are very helpful when it comes to obstacles at Spartan race. Pull ups are crucial when it comes to walls, because if you can jump high, you still need to pull yourself up, and over that wall, that was time when I learned how to do a muscle up, because muscle up is jumping over wall but without a wall, only bar. And of course, burpees. Carrying stuff around, cargo nets, balancing yourself, walking on the hill, all those things are very connected with stability. Even running itself is very stabilizing movement, because you are running up the hill, down the hill side to side, sliding down the hill, walking down the hill, my abs were so burned up. You can check our shop if you need exercise equipment! It was October, it was fairly cold. My mindset was right, but when I have felt the rush of seeing the track, coming to registration and seeing other racers, they were taller than me, buffer than me, they were Spartans. But I knew, that I will give all I’ve got, and I did. I have eaten around 3000 kcal before race, I had my cheat day the day before to fill my glycogen levels, and that has helped me a lot! When you step into that “mosh pit”, and wait for couple of minutes, starring at people around you, it was like the whole universe has come to one place, just to see you race. I knew at that time, “This is it, all workouts, all miles, everything will pay off, I will push myself more than I’ve ever pushed myself, and I will finish”. I didn’t care about ranking, I saw that more than 2500 people are racing that day, I’ve told myself, “just be in upper half, and it will be okay”. BANG, the race has begun, when I think about it, I didn’t think about anything, just emptying your mind, step after step, tree after tree, obstacle after obstacle. It was more running that I’ve expected. I’ve done a 4×30 burpees and that had killed me, because, after couple of miles, and you have to pump 30 burpees, but keep in mind, you still have to run, a lot, and that process has killed me, it was really hard. The hardest, and for me one of the worst experience in my life, was swimming trough lake, and it was cold AF, around 5 degrees Celsius, and after 5-8 miles of running, to jump into water that cold, I had a little panic attack, I couldn’t catch my breath, shallow breathing, and so on. I was trying to flex every muscle in my body, just to get blow flowing, but eventually, I was out of that ice cold lake. Mud, and obstacles, little swim in the mud, that was fun, a little bit dirty, but fun. And for last, barbwire crawl, and it was lower than any barbwire before, and also longer, I was so thankful to captain Price from “Call Of Duty” games, because he has taught me how to crawl. As I stood up, I was searching for a smoke. I knew that at the end of the race, there is some fire I will have to jump over, but I couldn’t find any smoke, so I just run as fast I could, this was the end, and I ‘ve had some energy left in me, and that needed to go out, so I just gave everything. In the end, everything was awesome, only, it was very cold, very, and we’ve rushed to changing room to put on some dry clothes. We were waiting about a week to get results, and when I saw, that I am around 700th place I was more than happy, not a runner, only a month of preparations, and being in the top third of the race, that was it. Medal and T-shirt are only a plus, but my result and my experience is everything. At the end, a little wet, and a little muddy.